THIS KIT IS DESIGNED TO FIX THE GEOMETRY OF THE FACTORY ARM CONFIGURATION. IT IS NOT DESIGNED FOR ANY AFTERMARKET ARM SYSTEM. The factory car has ZERO adjust ability for alignment other than toe set. Caster and Camber can NOT be adjusted. Toe adjustment with our BSD kit will not affect any other aspect of the alignment since nothing else is adjustable. 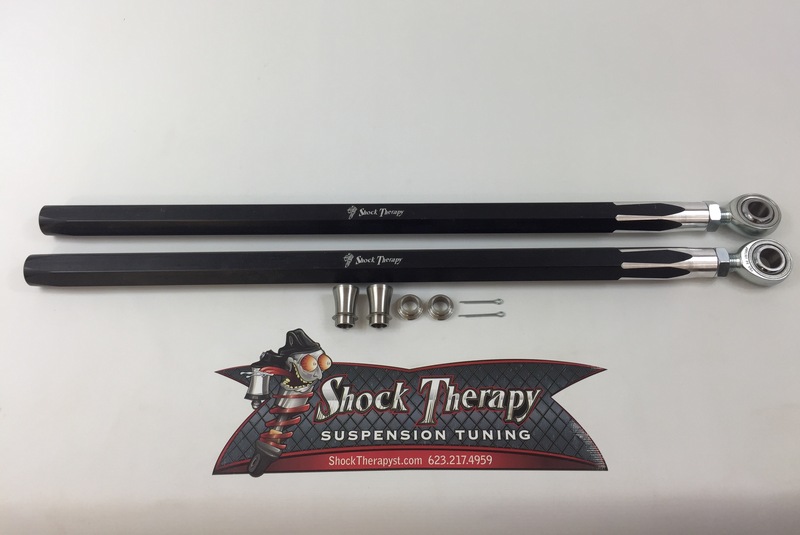 For all of you who may have already purchased a set of aftermarket tie rods for your X3 but want to fix your geometry with out buying the complete tie rod we have an answer for you. You can purchase our outer joint with the geometry fixing spacers and upgrade your aftermarket tie rods. 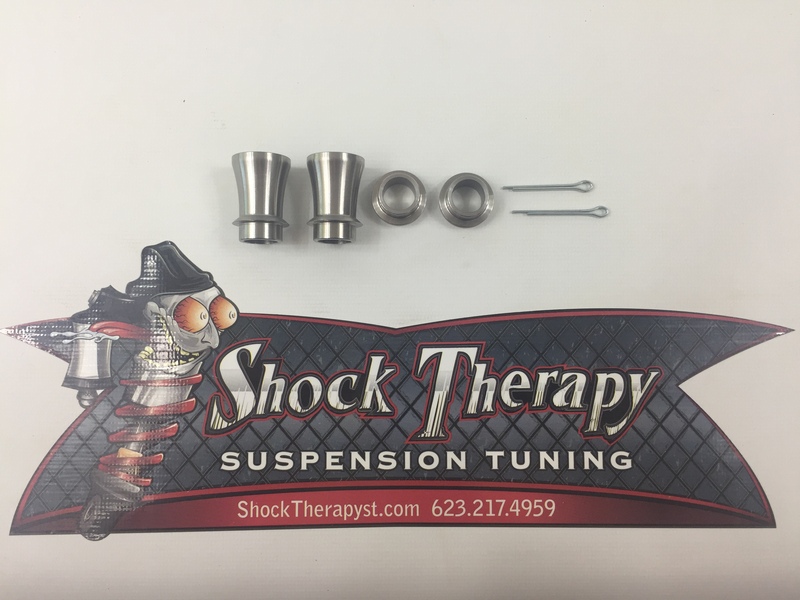 You can buy these with the 5/8 Left Hand threaded rod ends or if you already have 5/8 rod ends in your tie rods you can just purchase the spacer kit. Below is the complete joint kit $169.95 PN# 706-805-01. We only sell this with the highest grade, Teflon lined, race style rod ends. They cost more but are necessary for steering components. 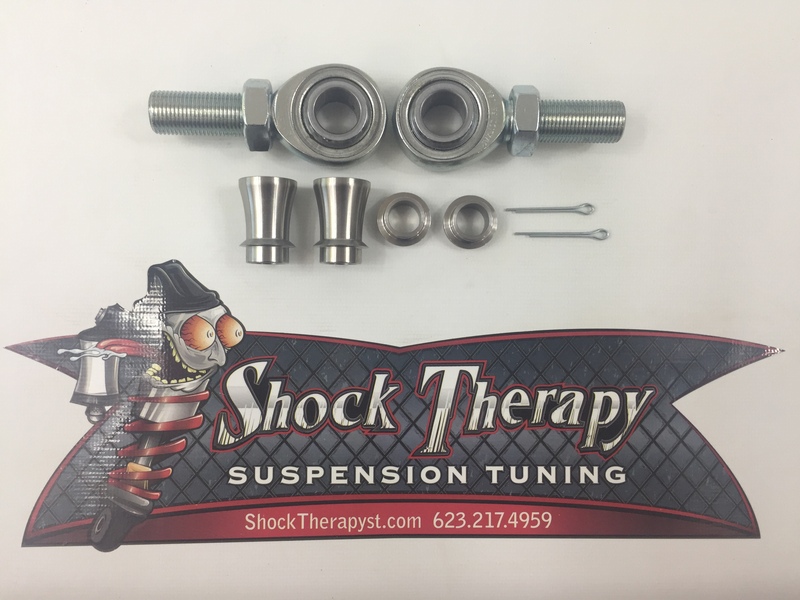 If you have Assault Industries tie rods then all you need is this spacer kit below. So since i needed some new rods anyway, i figured WTH, i will give them a try. After the easy installation, i went for a ride on some trails and some sand and i could not believe the difference. I was used to gripping the steering wheel tight at speed and pumping my arms to keep the wheel straight and steady, but immediately i noticed a difference. I did several test passes over some light whoops that used to shake, and i could literally hold the steering wheel straight with one finger at 30+MPH. I know that isn't super fast, but even at that speed it was like night and day. I don't understand how exactly they work, but they do. I would definitely recommend them to anyone looking for new tie rods. Also, shipping was top notch. The expanded foam packaging was amazing and ensured the rods didn't so much as blink inside the box. I will definitely look to shock therapy for future upgrades. Click the button below to add the Bump Steer Delete Tie Rod Kit (BSD) Can Am X3 RS and X3 RC to your wish list.